You only need to select and book the outward journey because the return trip remains open, allowing you to return whenever you like, during the day, to the original harbour. Free cancellation up to 36 hours before departure time. 36 hours prior to departure time or no show: lost of quantity paid. Questions about the tour? Check the FAQs tab or Send an e-mail directly to OKGranCanaria. 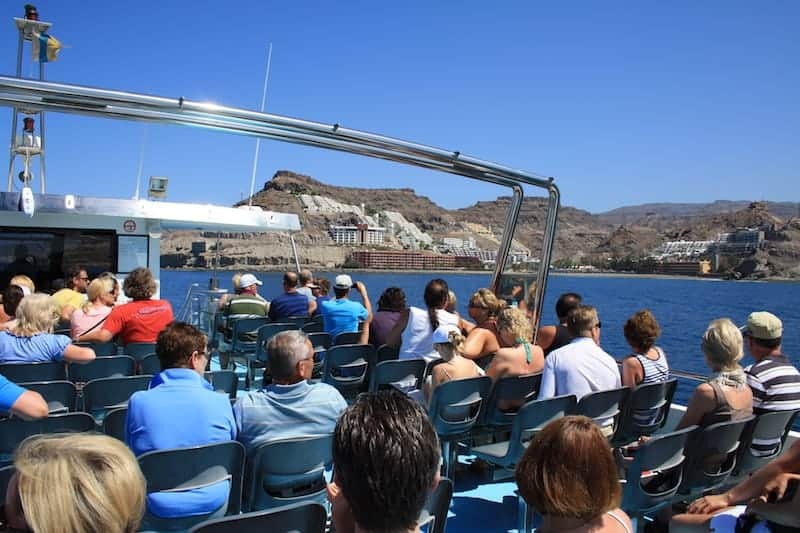 Take a pleasant boat trip along the south-west coast of Gran Canaria on board the Blue Bird Ferries. 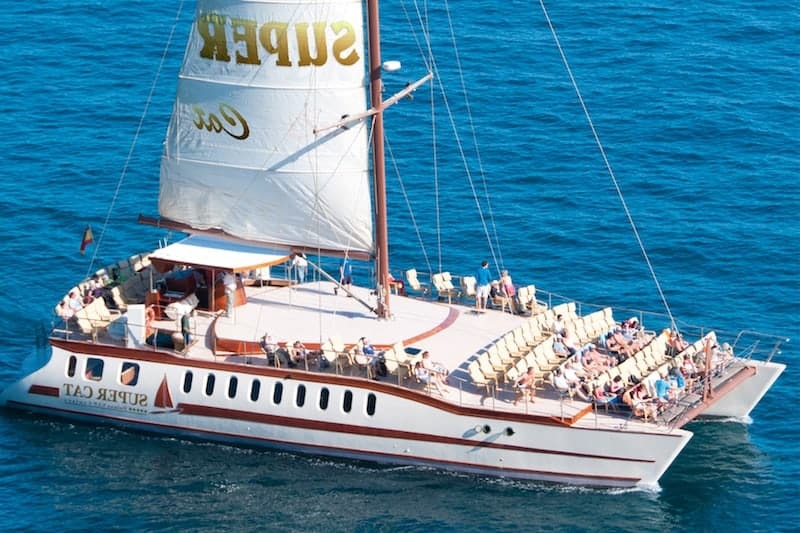 Enjoy the sun, the sea breeze, the scenery from the sea and relax on a boats trip. Lineas Blue Bird move near the coast and the distances between the different stops are short. 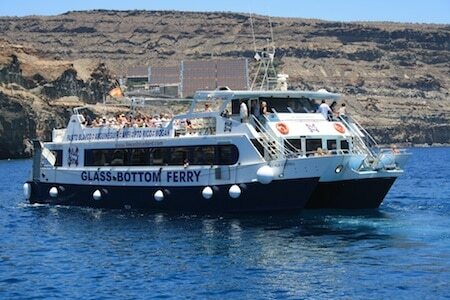 Discover cliffs, canyons, caves, solitary bays, marine life and touristic developments. Enjoy magnificent views from different areas of the ship. 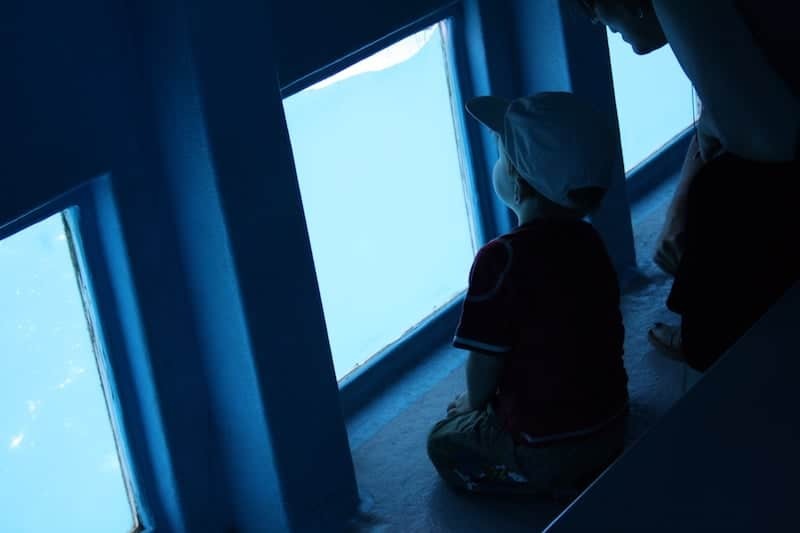 Take pictures from bow , stern, deck or from the comfort inside the boat, or even look through the glass bottom inside the ship. 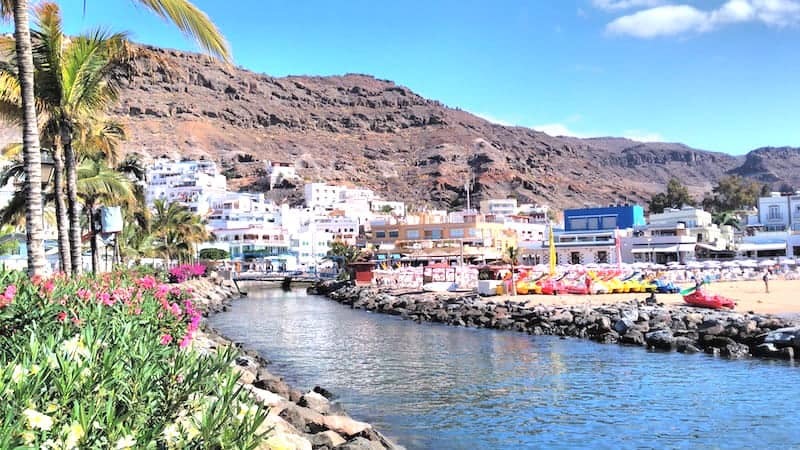 Encounter two of the most important tourist resorts of Gran Canaria: Puerto Rico and Puerto de Mogan. Enjoy a peaceful stroll along the quays, the streets and quiet beaches (full of activities). No timetable, no hurry, you choose when to leave and when to return. Blue Bird Lines offer you a flexible timetable so you can choose either to plan or improvise your day. Do not forget sunscreen and lip balm (sun and sea breeze). Wear comfortable shoes, jacket and sunhat. Enjoyed the scenery and the opportunity to relax. You can take a lot of photos during the trip. I quite liked it. 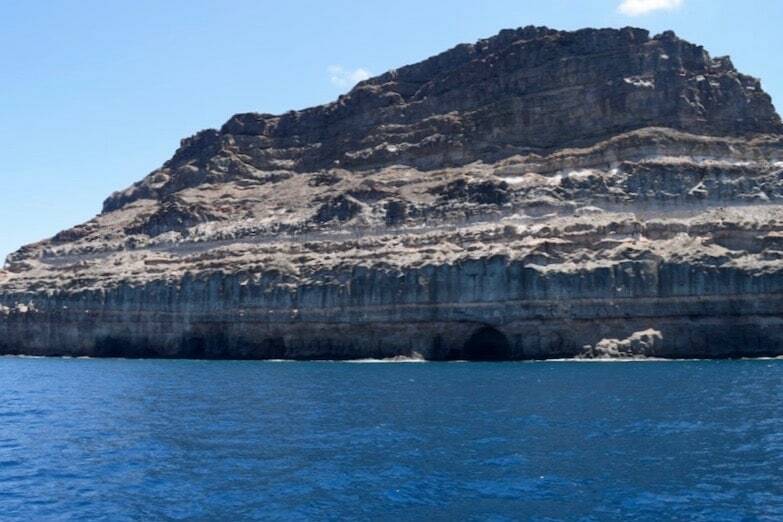 Small caves and stunning cliffs, always good for a little boat ride along the coast. We loved it. I think it lasted for half an hour and the best thing was going without any rush. The boats leave every few minutes. A true pleasure to enjoy those views. Perfect! It was very relaxing to take the boat whenever we wished. There was no rush. Worth it. As there was no closing time, we took the opportunity to eat in Puerto de Mogan and we returned peacefully in the afternoon. Good price, good service, good boats. We went from Puerto Rico to Mogan and enjoyed the journey there and back. We returned to Puerto Rico when we wanted to. I recommend it. Perfect way to get to know Mogán. I went with my husband from Puerto Rico and we enjoyed the boat ride. I think it ended up being cheaper than going by bus. Recommended. It’s the best way to visit Puerto de Mogán from Puerto Rico. No lines, no hassles, no return time. We took the opportunity to take a boat ride and to go to the market in Mogan. Great idea and very reasonably priced. Very reasonable price since you can choose to go either by bus or by boat. The second choice was much better for us. The trip is short but I think it’s worth it. Beaches, coves, cliffs … many cool pics. 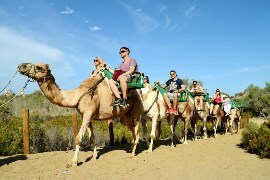 A nice thing to do in Gran Canaria. You just book a roundtrip journey and do it at any time of the day. 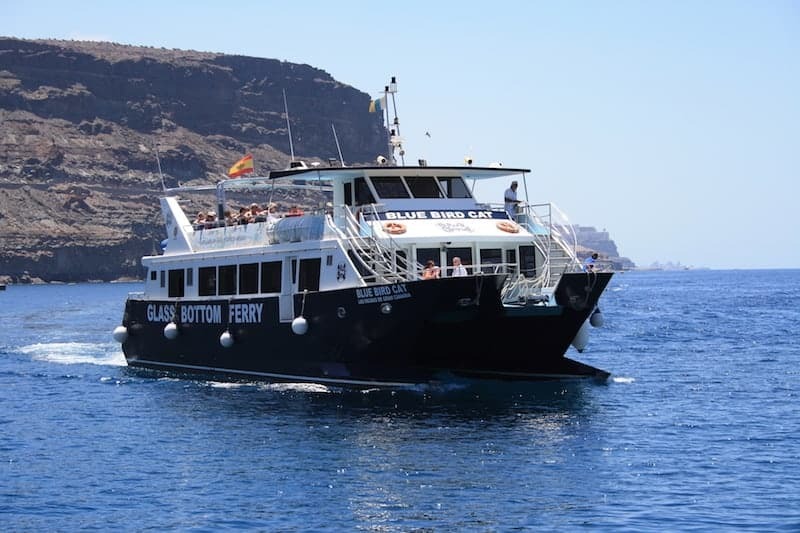 Amazing day out from porto Rico to Porto de Morgan from boarding the Linares blue bird, friendly staff aboard the boat lovely views of cliffs and beaches from the boat and even stopped for 5 mins on return to see the fish below out from the glass bottom. The markets are a must at Porto de Morgan and also the yellow Submarine tour. All in all a pleasant day with lovely friendly people. No lines and on our own Schedule. We wanted to go to Mogan and do something different. A good way to explore Mogan without any rush. The boat was clean and the service was good. It’s always so nice to go on a boat ride and have a good time in Mogan. The boat ride is very nice. It’s great to get off in Mogán and not have to return until you want. 11 euros more or less, and half price for the children, was quite a fair price. The entire family loved it. For the same price you can go by bus, and since the best views are seen on the sea, I think we ended up making the best choice. Good trip and good plan. The two boats that we went on were spacious. The service was very good and the price was the best. A must in Gran Canaria. We go to Gran Canaria every year and we always go on the Blue Bird Lines to Mogan at least once. Stunning scenery by the sea and amazing weather. I took the opportunity to sun bathe. We went twice in the same week. 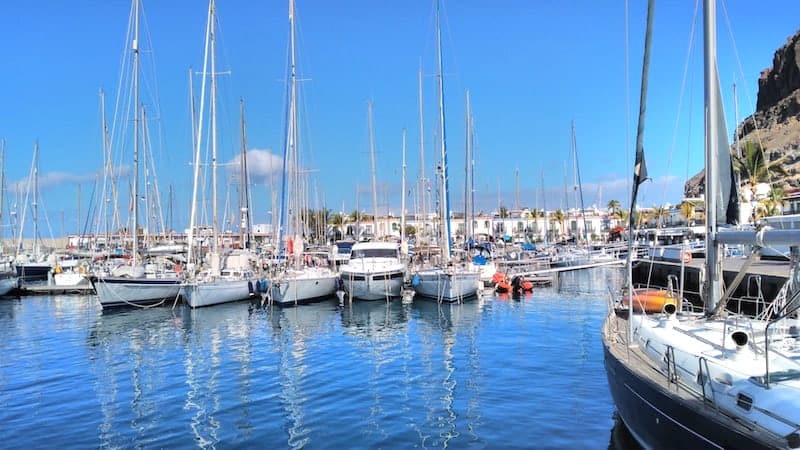 We loved the idea of sailing along the coast and spending the day in Puerto de Mogán. I recommend it. Low cost plan. You can’t ask for more for 11 euros. We explored Mogan and enjoyed the ferry. Do I have to book a return trip? No. You only need to select and book the outward journey because the return trip remains open, allowing you to return whenever you like, during the day, to the original harbour. How long can I stay in the destination harbour? You can choose to return to the original harbour at any time. Simply go to the harbour and catch the first Líneas Blue Bird returning to the original harbour. The journey from Puerto Rico to Puerto de Mogán takes 30 minutes. Can travellers stop in different ports on the way to the destination? Passengers can disembark at the intermediate stops made during the trip, which they have paid for, and once again board any of the subsequent departures to continue to the destination port. Are people in wheelchairs able to do your tours? If the client’s mobility is zero, the service should be confirmed with the company before confirming the booking. The possibility of making a trip in these conditions depends on the chosen journey and the boat that covers the route. If the client’s mobility is reduced, but they are able to walk 5 metres with the help of personnel, they can do any journey. Neither scooters nor electric wheelchairs may come on-board. What does the boat trip include? 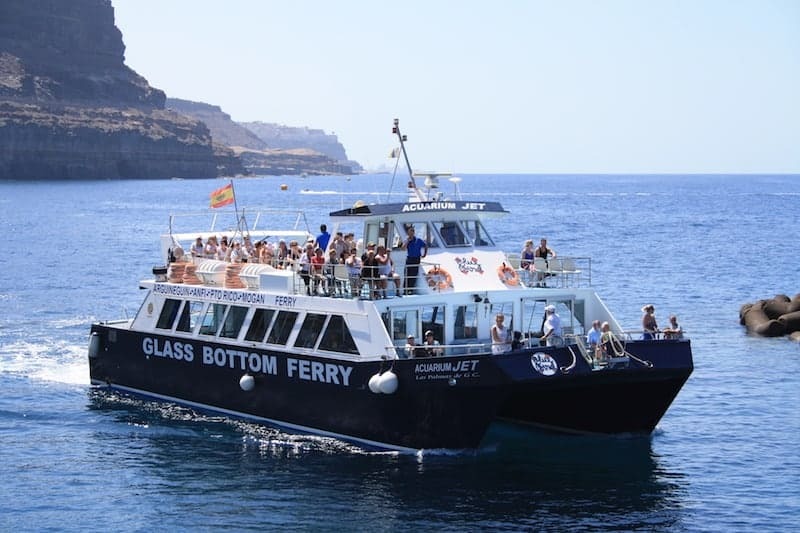 The boat trip includes just that, the boat trip and the ability to stop and explore all of the places where there are stops along the way to the final destination port. What precautions should I take into account when preparing for the boat ride? 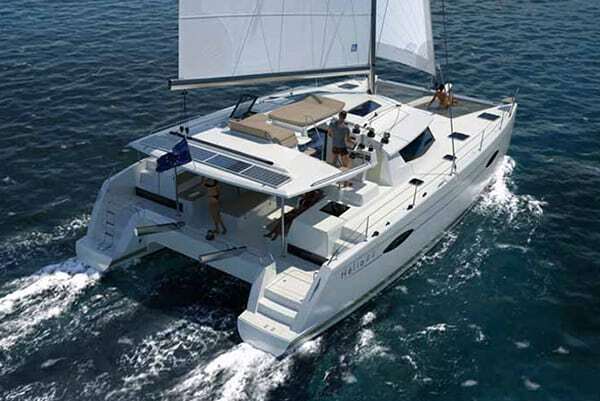 Take action against seasickness, because, although the journey is short and very close to the coast, if you are not accustomed to being in a boat you can have a bit of seasickness. Wear sunscreen and some type of hat. Bring a camera for photos and videos. Wear appropriate clothing according to the weather on the day of the tour. What happens if the boat does not leave because of adverse weather conditions? Would I lose my booking? Can it be exchanged for another day? In case of cancellation or changes, how will you alert me? If unforeseen circumstances make it necessary to cancel the service, under no circumstances will the client lose their booking. You can opt to make the trip another day or be refunded 100% of the booking. By providing us with your email when booking, we will be able to contact you thusly in order to inform you of the situation.